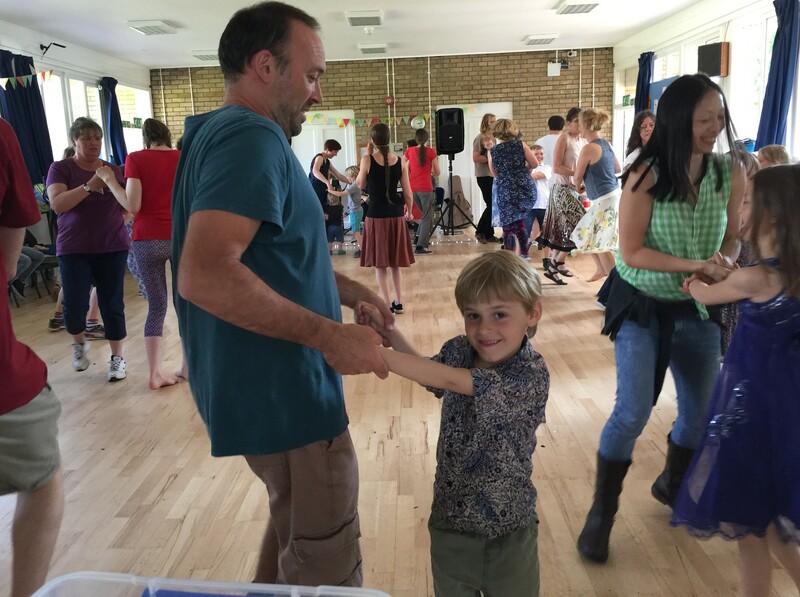 Family Ceilidh Oxford A fabulously fun experience in a beautiful park. The dances were explained really clearly so that we could all join in. Great music from the band and a really friendly atmosphere. Thanks for a great time." 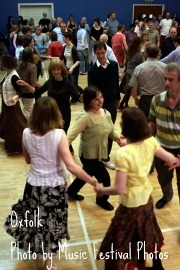 "What a wonderful family ceilidh!!! It was perfectly pitched so all the family could join in including the children. We all had a blast. I've never seen my 8 year old daughter join in for so long at a ceilidh before. Other family ceilidhs she and her friends found too hard and gave up after a couple of dances. But here, the caller made it easy for young children (and us adults!) to follow and keep joining in. Despite the alluring playgrounds surrounding the building and sunny skies, the children and families kept returning after each break. This surprised me, while I waited all hot and sweaty in the heat. There were so many smiling faces of all ages and genders, even my 'non dancing' husband joined in. Highly recommend it. Would be such a gift to the community if it could continue on a regular basis." 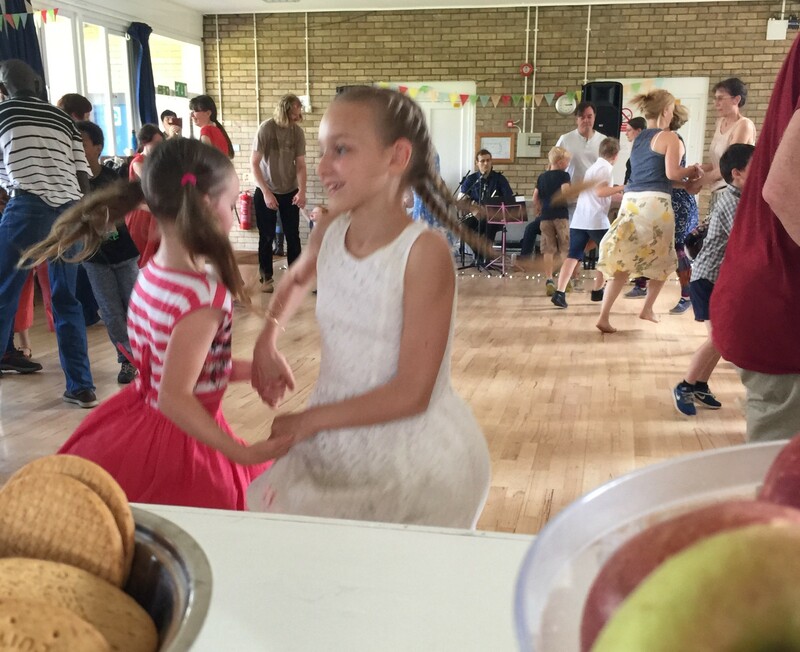 "We had a really fun afternoon - the caller was great at explaining the dances so everyone could get them. It was really good physical exercise too, and a great way to get my 7-year-old dancing, which he's never done before." "A fabulously fun experience in a beautiful park. The dances were explained really clearly so that we could all join in. Great music from the band and a really friendly atmosphere. Thanks for a great time." 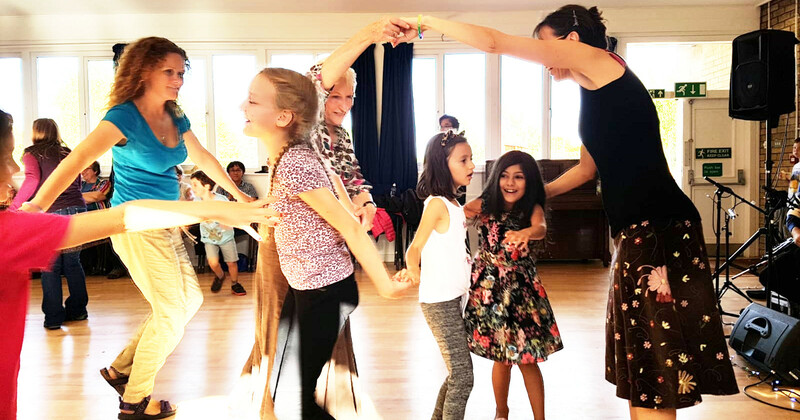 Join us for our next dance on the 11th of November! The pavilion at Cutteslowe Park is a great location for families, right next to the children’s play area and café. We've thouroughly enjoyed hosting the family ceilidhs this term. Thanks to all who came with their smiles and bounced around with great enthusiasm! Thanks of course as well to our lovely caller and fantastic band. Each month the dancers get to name the band. This month they are the Split Peas. 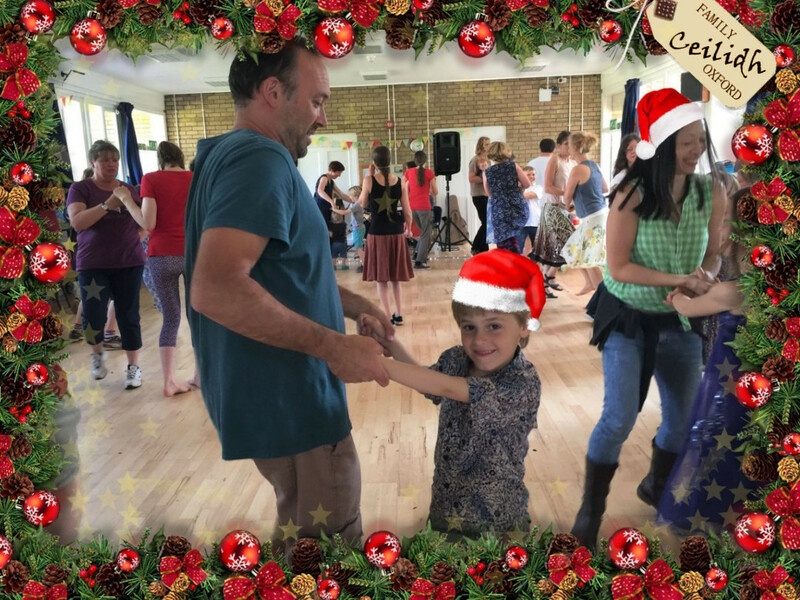 We're really looking forward to our next dance on the 9th of December which will be a special Christmas themed ceilidh. Please come and join us! The pavilion at Cutteslowe Park is located next to the children’s play area and café. Join us for our first dance on the 27th of May! I’m hoping to set up a community space where once a month we all get together and dance our socks off to a live band. 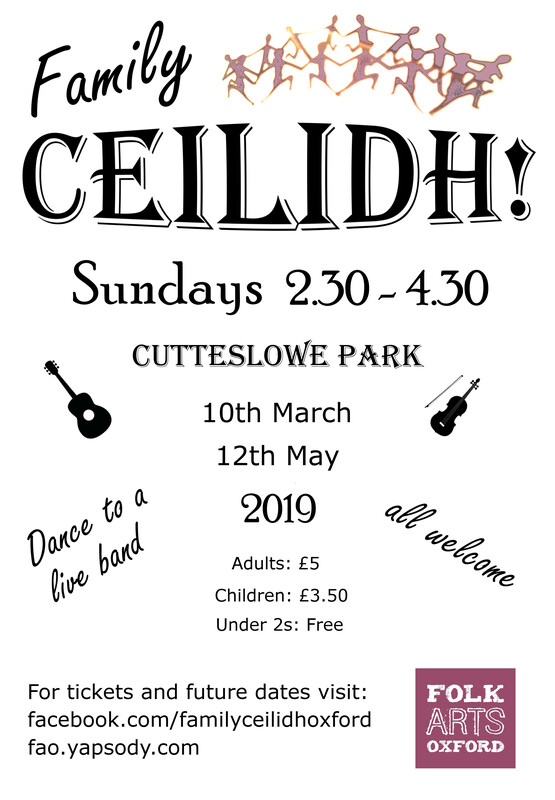 I have found a wonderful ceilidh band and caller experienced in making learning the dances a really fun and engaging experience for children. The pavilion at Cutteslowe Park is a great location for families, right next to the children’s play area and café. On Sundays they run a miniature railway for children to ride.